The manuscript emphasizes the use of differential forms, rather than tensors, which are barely mentioned. The focus is on the basic examples, namely the Schwarzschild black hole and the Friedmann-Robertson-Walker cosmological models. General relativity has a reputation of being extremely difficult. This introduction is a very pragmatic affair, intended to give you some immediate feel for the language of GR. It does not substitute for a deep understanding -- that takes more work. A classic of physics -- the first systematic presentation of Einstein's theory of relativity. Long one of the standard texts in the field, this excellent introduction probes deeply into Einstein's general relativity, gravitational waves and energy. This book was written as a guide for a one week course aimed at exceptional students in their final years of secondary education. The course was intended to provide a quick but nontrivial introduction to Einstein's general theory of relativity. Contents: Introduction; Manifolds and Tensors; General Relativity (Derivation, Diffeomorphisms as Gauge Symmetries, Weak Field Limit, Tidal Forces, ...); The Schwarzchild Black Hole; More Black Holes; Non-asymptotically Flat Solutions. We present an introduction to mass and angular momentum in General Relativity. After briefly reviewing energy-momentum for matter fields, first in the flat Minkowski case (Special Relativity) and then in curved spacetimes with or without symmetries. This text reviews the development of Einstein's thought on general covariance (the fundamental physical principle of GTR), its relation to the foundations of general relativity and the evolution of the continuing debate over his viewpoint. Working with GR requires some understanding of differential geometry. In this text we will develop the essential mathematics needed to describe physics in curved spacetime. These notes assume familiarity with special relativity. This is an undergraduate textbook on general relativity. It is well adapted for self-study, and answers are given in the back of the book for almost all the problems. The ratio of conceptual to mathematical problems is higher than in most books. Topics include: Asymptotic structure of spacetime, conformal diagrams, null surfaces, Raychaudhury equation, black holes, the holographic principle, singularity theorems, Einstein-Hilbert action, energy-momentum tensor, Noether's theorem, etc. The first half of the book is dedicated to developing the machinery of tensor calculus and Riemannian geometry required to describe physics in a curved space time. 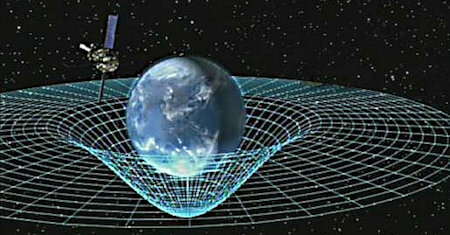 We will then turn to various applications of General Relativity. Notes of lectures for graduate students, covering the theory of linearized gravitational waves, their sources, and the prospects at the time for detecting gravitational waves. The lectures remain of interest for pedagogical reasons. These notes introduce the theory of rotating stars in general relativity. The focus is on the theoretical foundations, with a detailed discussion of the spacetime symmetries, the choice of coordinates and the derivation of the equations of structure. Contents: The Metric of Space and Time; Curved coordinates; A short introduction to General Relativity; Gravity; The Schwarzschild Solution; The Chandrasekhar Limit; Gravitational Collapse; The Reissner-Nordstrom Solution; Horizons; and more. The author gives an account of general relativity theory without introducing anything very technical in the way of mathematics, physics, or philosophy. It is hoped that the book may also appeal to those who have gone into the subject more deeply. Course notes for an introduction to Riemannian geometry and its principal physical application, Einstein’s theory of general relativity. The background assumed is a good grounding in linear algebra and in advanced calculus.